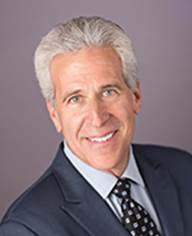 Eric Sirotkin has been involved in major social and political movements throughout the world and has worked in employment litigation for nearly 40 years in New Mexico. He has represented whistleblowers, employees claiming discrimination or retaliation, management and employees at all levels, contesting their respective discharges. In 1982 he wrote the seminal Law Review article Defending Abusively Discharged Employees: In Search of a Judicial Solution which was cited the following year by the Court of Appeals in recognition of an action for Wrongful Discharge. Since that time, he has deposed and relied on testimony from Human Resources personnel and trained thousands of Human Resources Professionals on Why Employees Sue: Dispelling the Myths and finding creative ways to deal with a changing workforce. New Mexico is an Employment at Will state and has the best employment law in the United States. Understand how HR professionals play a key role in managing conflict in the workplace and avoiding litigation. How to switch dissent into productive energy. Sirotkin approaches healing individual and societal wounds resulting from conflict by breaking down the destructive and ineffective “us vs them” attitudes of the legal and political system. He is an active employment trial counsel and mediator of employment disputes, and speaks nationally and internationally to colleges, bar associations, conventions, and community gatherings. Sirotkin’ s memoir Witness a Lawyers Journey from Litigation to Liberation was released in 2017 from White Cloud Press and he is a regular international TV commentator on issues around conflict resolution and peacebuilding. In the 1990s he worked in South Africa with the changeover from Apartheid, including work with Archbishop Desmond Tutu during the Truth and Reconciliation Commission. He was an international election observer when Nelson Mandela was elected and performed work on the South African Constitution with the African National Congress. Since 2003 he has travelled several times to both North and South Korea and held numerous meetings with the State Department and Foreign Relations Committee, and testified in Congressional briefings, on creative ways to resolve the conflict in Korea.